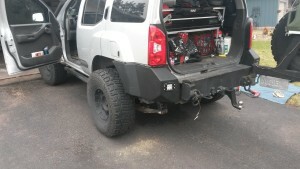 Bucksnort rear bumper with hummer tire carrier – I installed a Bucksnort rear bumper with a class 3 reciever. This bumper is made of thick steal that can take serious abuse. Along with this a H2 tire carrier was taken and narrowed to fit onto the bumper. Along with this I created an aluminum Rack to hold two 5gal Jerry Cans for extra fuel. BTF Diff Cover – I needed to protect the rear differential. There are two ways of doing this. 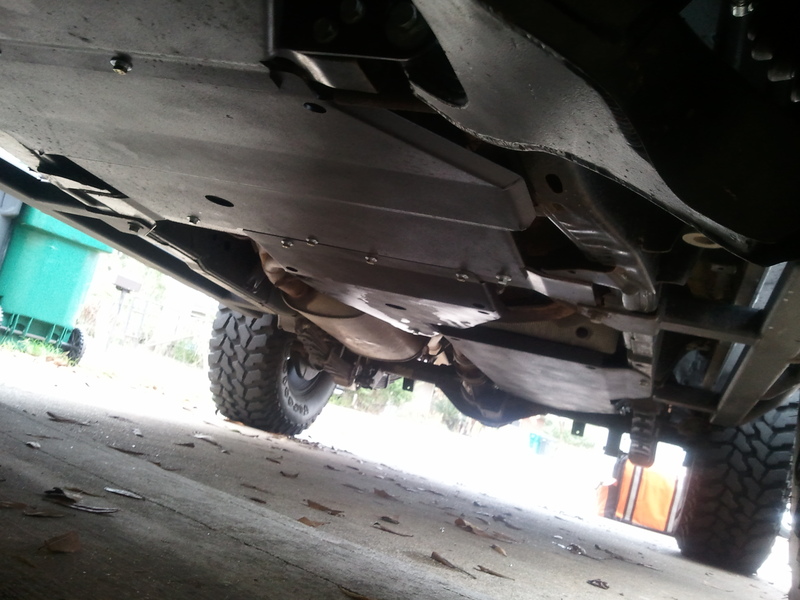 The first option is to get a skid plate the second option is to buy a heavy duty differential cover. I went with the second option. 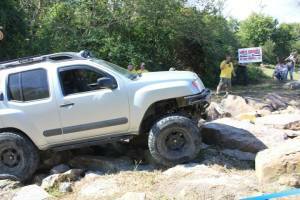 Shrockwork skids – When protecting your vehicle with armor. There is very little that is more important then under neath as this will see all the rocks, tree stumps and other hard objects you will run over. The Shrockwork skid plates are tough. 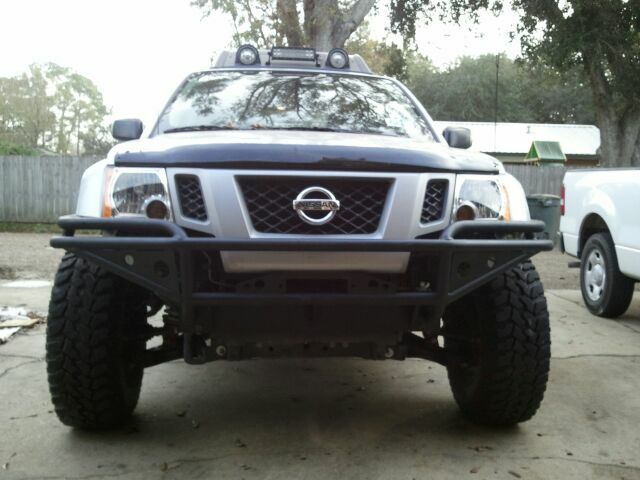 BoonDox Front Bumper – I went with a custom built front bumper. 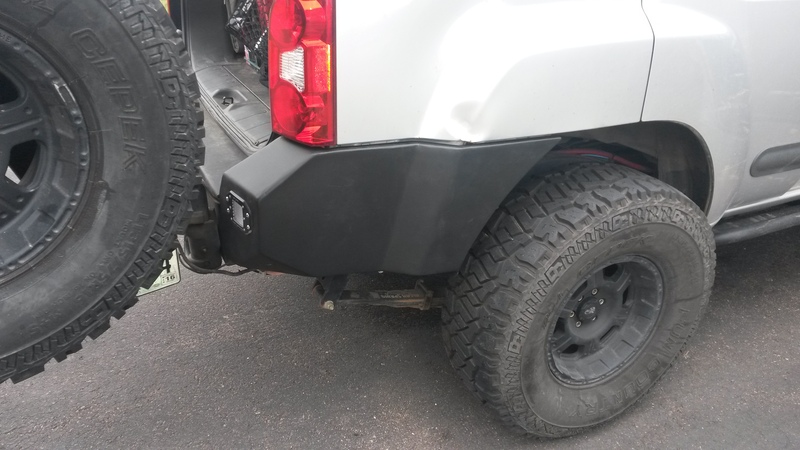 This bumper was built before my 2″ body lift so after the body lift I had it modified to fit again. The bumper is a DOM tube bumper which is strong but lighter then a plate bumper. 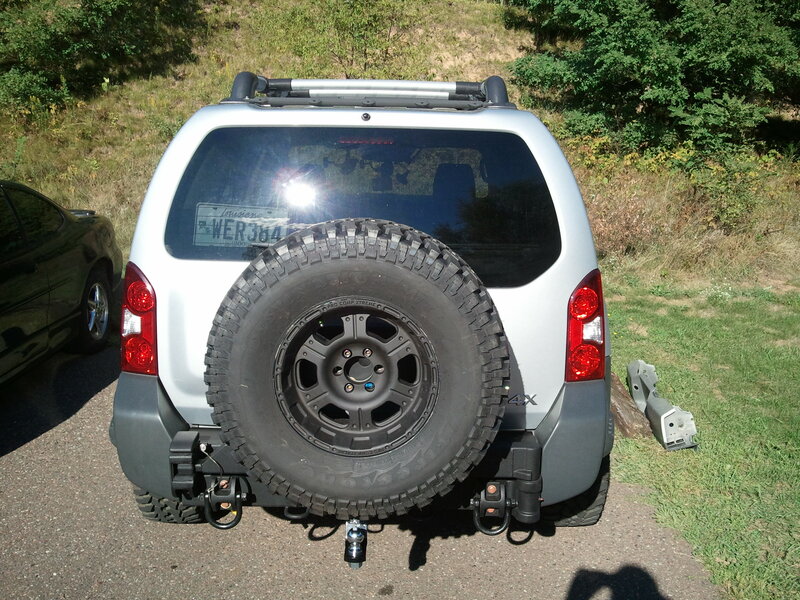 It also is equipped with a winch mount. 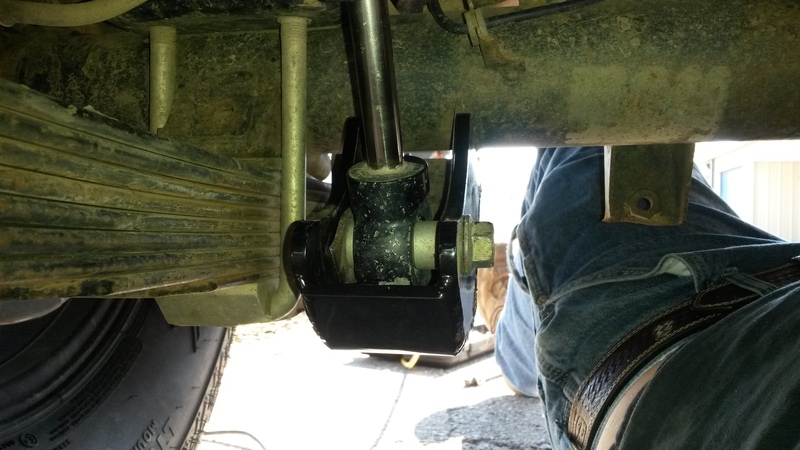 P&P Engineering Sliders – I initially had hefty slider which worked great. 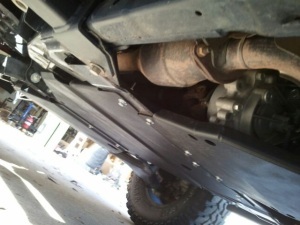 But after the body lift they hung down to low. So I upgrade to P&P Sliders. 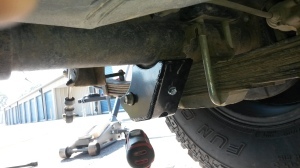 These sliders don’t just bolt to the frame they also use a sleeve to reinforce the frame. Rear shock Skid Plates – To protect the shock skid plates since they hang down lower then the axle. 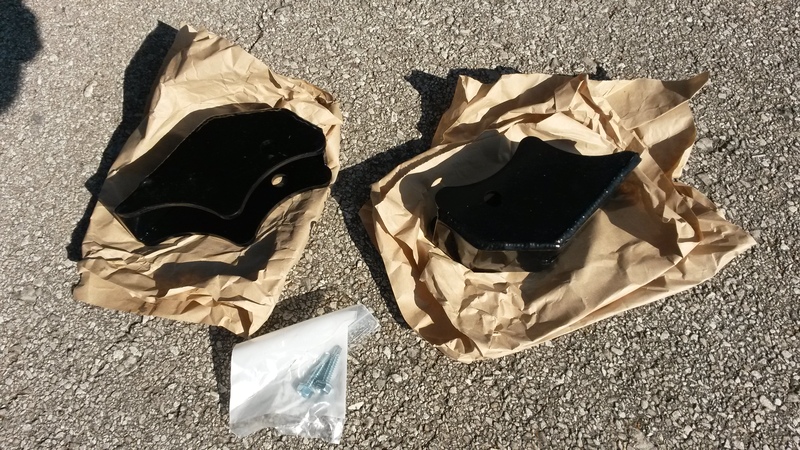 I purchased some skid plates. These things are tough and thick. I don’t think there will ever be a issue with them. 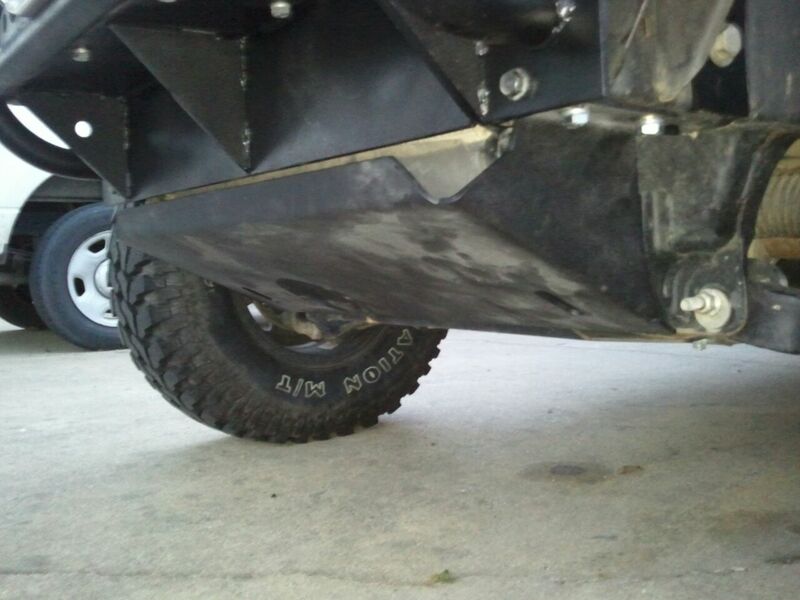 I have thought about having them welded on. Insain Fab Rear Alumium Corners — So I broke down and bought these rear corner panels. 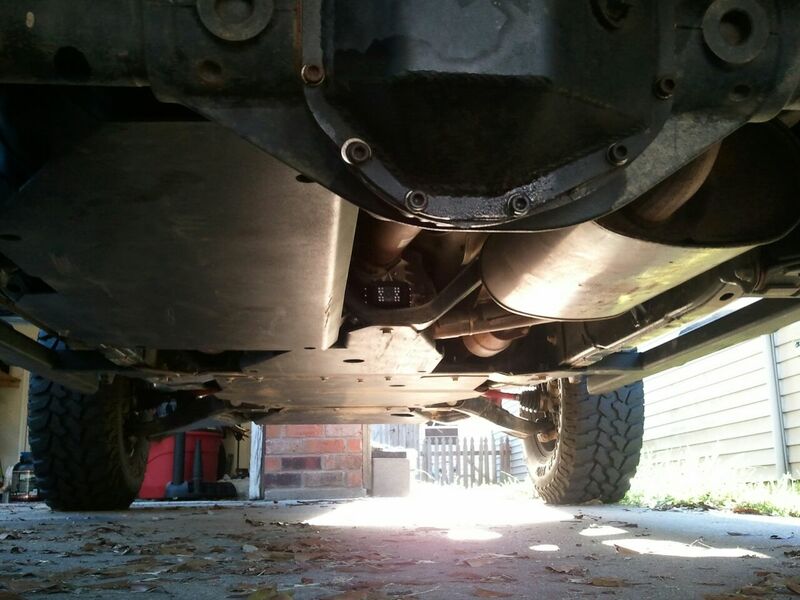 They are higher clearance then the stock ones to fit tires better when stuffed. Along with they are far more durable to take the hits of trees and rocks. 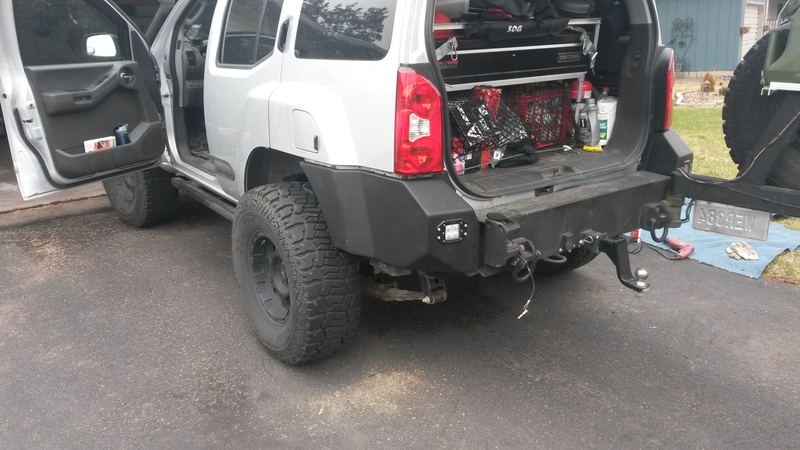 There was more trimming required then expected when installing them. 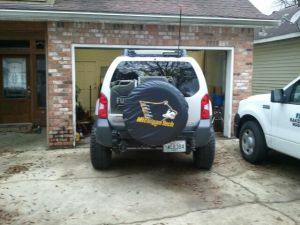 Along with the driver side has a much larger gap then the passenger side. 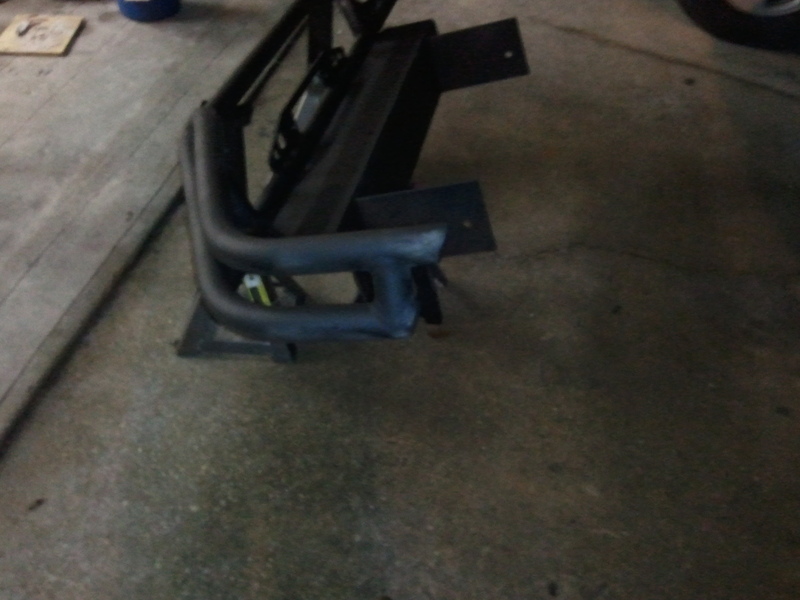 But this will be fixed in time.